I love apple cakes, they are a real taste of autumn. Apples are in season here in the UK now so is the perfect time to start making them. 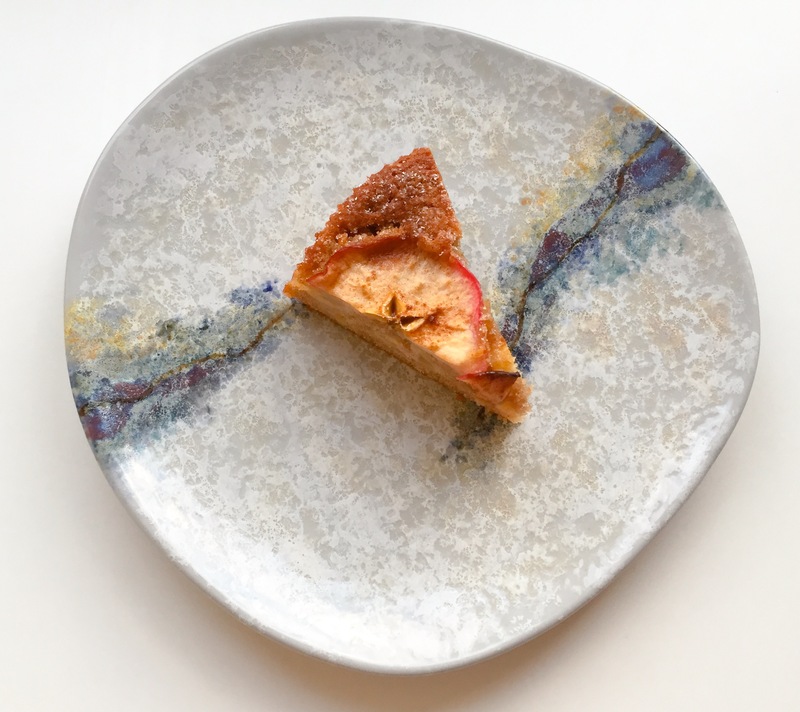 I have been baking apple cakes for years, in fact I don’t know how I haven’t shared the recipe for one until now! 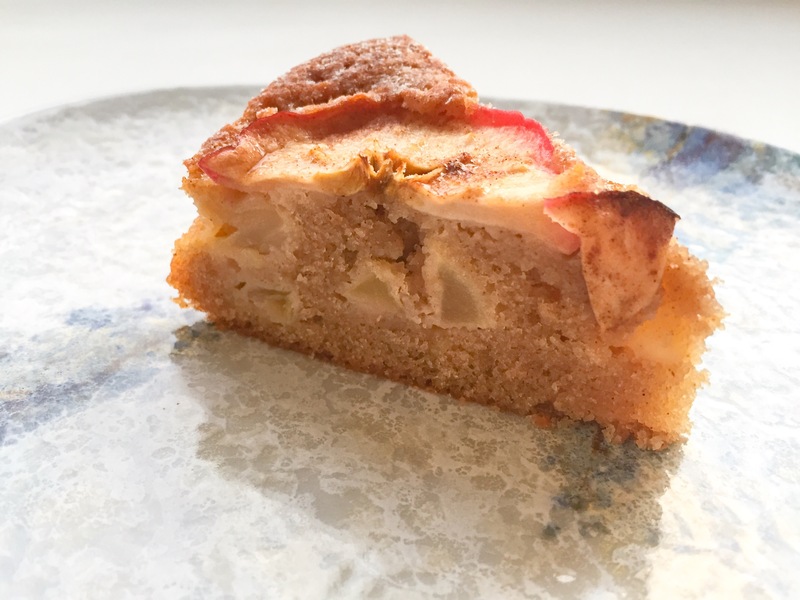 This recipe is based on some of the amazing apple cakes I had when I lived Norway. Cake and pastries are a Norwegian staple and they are very good at making them. I used to see people having cake for breakfast in the bakeries in Norway every weekend. For the apple on top I didn’t peel or core it, instead I just cut it into 2mm rounds and lay them on top. It is a really easy way to make the cake look beautiful as when you slice an apple in half it has an incredible star shape in the centre. I’m going to have a bit of a geek out now, I think nature is incredible, the patterns that form in nature are amazing. I had a few lectures at university on patterns in nature and I still find it fascinating. 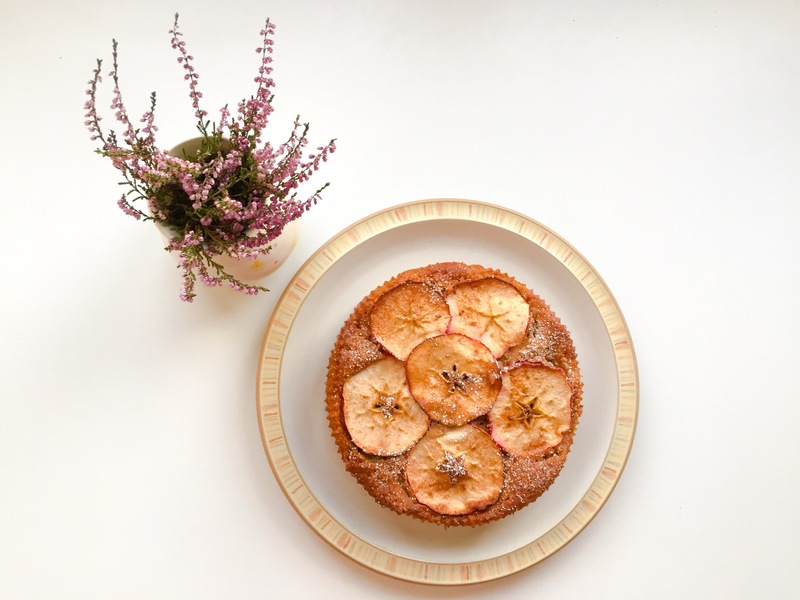 I like to cook this cake at a slightly lower heat for longer as the apple on top starts to loose its moisture and form a delicious chewy apple on top. It is wonderful warm straight from the tin or cool. 2 dessert apples, 1 peeled and diced, 1 cut into 2mm slices. Pre-heat the oven to 160C. Line a 18cm/7inch circular baking tin with parchment. Cream the butter and sugars together in a freestanding mixer until light and fluffy. Add the eggs and vanilla bean paste and mix. Add the flour, baking powder and cinnamon and continue to mix until everything is incorporated. Fold through the diced apple pieces and then pour the mixture into the baking tin. Place the apple slices on top, then sprinkle a little brown sugar and cinnamon onto the apple slices then place in the oven for 40-45 minutes. Recipe looks lovely but how much butter should I use? Thanks! I made your cake today. It turned out to be the perfect comfort food for cold weather. I veganised it – took vegan margarine instead of the butter, and 80 ml of almond milk and 1 teaspoon of egg replacer for the two eggs. It tastes great and hits just the spot. Thank you!